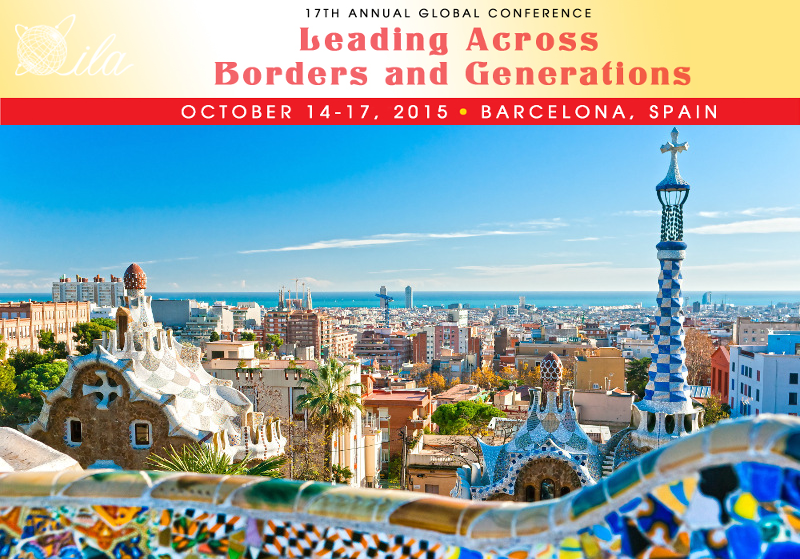 The 2015 conference theme, Leading Across Borders and Generations, may at first appear simplistic; however, further consideration underscores its inherent complexity. Leading refers both to the persons leading (the leaders) and the processes that they and others engage in together (leadership). While borders and generations might seem unrelated, their pairing draws attention to how each generation perceives and experiences the concepts of borders and leading. Borders can be physical or invisible, natural or constructed, crossed casually or cautiously, associated with pride or defeat. The experiences of each generation arguably impact their perceptions concerning the relevancy of borders. Compare, for example, the experiences of younger Europeans who have always traveled easily between EU countries, with those elders who remember challenges crossing some of the same borders during WWII, to others who live within newly created or erased borders. Now, those traveling through cyberspace may question the relevance of borders entirely. Every day, wicked problems—epidemics, climate change, terrorism, and scarcities of water, food, and energy—confront humanity without regard to borders. At the same time, breakthrough research is advancing the human life span to over 100 years, creating a population that spans not three but five generations. Identifying, respecting, and engaging the mindsets and skillsets of each generation will greatly improve the chances of discovering and successfully implementing solutions. Whether considered literally or metaphorically, the challenges associated with Leading Across Borders and Generations are often significant, requiring an understanding of and attention to history, cultures, attitudes, and laws. These same factors can complicate leadership processes and transitions. An emerging emphasis on cross-sector leadership approaches requires new levels of understanding and cooperation.